This betrays a fundamental reality about the market for physical gold and silver bullion that many investors - even regular buyers of bullion - are not aware of. There simply is not much supply available at any given time. In other words, gold and silver products spend very little time sitting on the shelf waiting to get bought, making inventory very tight. As such, in times of intense demand, the entire available supply can be bought up in a matter of weeks, or even days. This results in higher product premiums and extended shipping times. The US Mint suspended Silver Eagles sales for three weeks in July. When production resumed earlier this week, the Mint sold more than 2.5 million Silver Eagles in two days. The Mint now reports more than 5.3 million sold in all of July. With two days left in the month, this figure could end up topping January's sales of 5.5 million. The Mint is now allocating product with regular shipments. Even bigger news is that the RCM has gone on allocation for silver and gold. While silver products have been on allocation several times in recent years, the last time gold products were on allocation from a major national mint was during the 2007-2008 financial crisis. During that time, investors had to wait a month or more before receiving product. (Silver shipments took much longer, averaging around two to three months or more.) These are roughly the same dynamics we are witnessing currently from the RCM. For the first time in over eight years, investors who want to buy a highly marketable gold product - the Gold Canadian Maple Leaf - may have to wait a month or more to receive it. The importance of this event should not go overlooked. Strong demand for physical metals also results in higher premiums on popular products, such as nationally minted coins. Typically, products that are most backordered and delayed are also the products selling at a much higher premium. This has been the case nearly every single time major mints have gone on allocation. It's similar to a spike in gasoline prices at the pump when a hurricane or natural disaster disrupts the supply of fuel. The charts below demonstrate this reality with respect to two popular silver products, the 1-ounce Silver Eagle and 90% "junk" silver. The most important take away from all this is that it really doesn't take much extra demand to wipe out the "on the shelf" supply of physical precious metals. Remember - this surge in demand can come whether the price moves up or down in dollar terms. 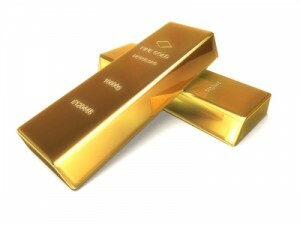 It was a $48 move downward in the price of gold that triggered the extra demand this month. If the move is $98 upwards, the same thing could occur as investors scramble to get in on the ground level of a new bull market. In fact, such a surge in price could be even worse for the supply picture, as people may begin to wake up to the inherent problems of our current monetary system.